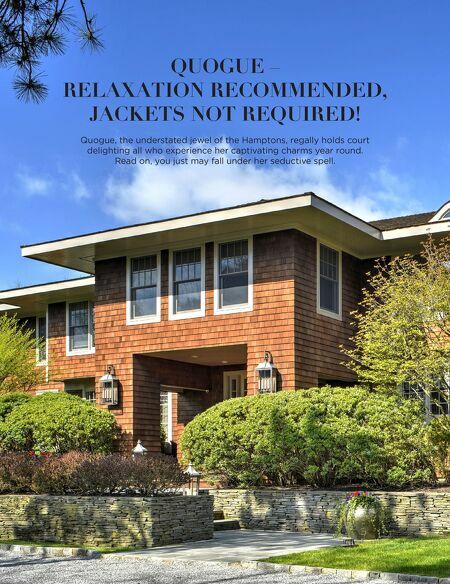 QUOGUE – RELAXATION RECOMMENDED, JACKETS NOT REQUIRED! Quogue, the understated jewel of the Hamptons, regally holds court delighting all who experience her captivating charms year round. Read on, you just may fall under her seductive spell.